Gergana Nestorova was born in 1989 in Nessebar (Bulgaria). She graduated in 2008 from the “Prof. Pancho Vladigerov” National School of Music and Stage Arts (Burgas), where she studied piano with Julia Nenova. From 2008 to 2013, she was a student at the National Academy of Music under Prof. Marina Kapatsinskaya. 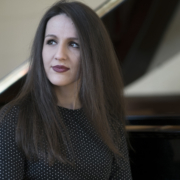 In 2013 Gergana earned her master’s degree and now she is a regular Ph.D. candidate in piano at the “Prof. Pancho Vladigerov” National Academy of Music. 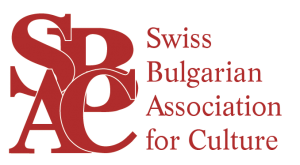 She has won several awards in international competitions, including “Nikolay Rubinstein” (Paris, France, 2006), International Competition for performance of Japanese and Bulgarian music (Sofia, Bulgariа, 2008), International Piano Competition“Albert Roussel” (Sofia, Bulgaria, 2016). Gergana has had various concert performances both as a soloist and as a chamber musician. In 2018, she performed piano recitals in different cities in Japan. She has participated in European Music Festival (Sofia, 2013), ppIANISSIMO International Festival of Contemporary Piano Music (Sofia, 2011, 2015, 2016). She hasalsoperformed as a soloist with different orchestrain Japan, Austria, Bulgaria.